Great coffee starts with a quality grinder, and here we review one of the best. Our Breville BCG920BSSXL Smart Grinder Pro review will walk you through its specifications and features. We’ll share tips on how to get the best results and compare it to some of the other leading models out there. The Breville Smart Grinder Pro is an update on Breville’s popular Smart Grinder. 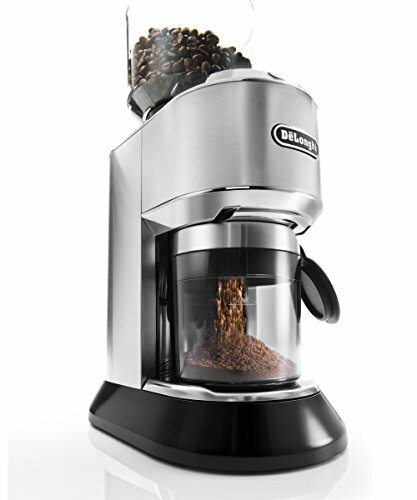 It uses stainless steel conical burrs to produce an even grind size with low heat transfer. 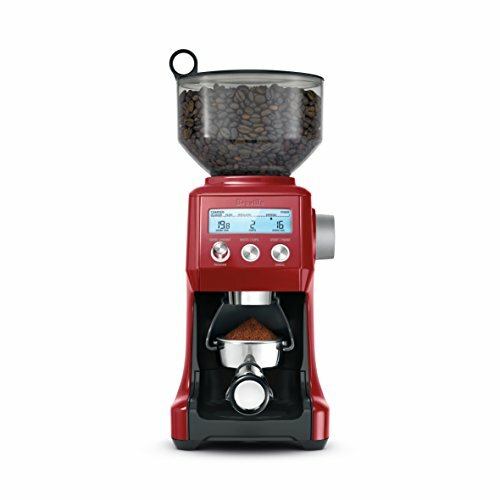 The hopper holds a generous 18 ounces of beans, and you can even grind directly into a portafilter. Whatever your brewing preferences, this grinder will cope. No fewer than 60 different settings allow you to get the right consistency for everything from French press to espresso. There’s automatic dosing too, with a choice of either cups or shots. Seattle Coffee Gear has produced a great video taking you through all the features of the Smart Grinder Pro. They were impressed by its versatility, noting it would give great results whether you wanted French Press coffee or espresso. The Smart Grinder Pro is a compact grinder that doesn’t demand a lot of space on your counter. It’s over 15 inches tall, though, so check the space between your counter and wall cupboards before you buy. It’s nice and light, weighing just 6.4 pounds. Prefer to keep your work surfaces uncluttered? Just store it away in a cupboard and get it out when you want to use it. Coffee grinders don’t often look particularly stylish, but the Smart Grind Pro is an attractive machine. It comes in either brushed stainless steel, cranberry red or black, with the lid of the grounds container in the same finish. The illuminated LCD screen gives it a modern edge. The Smart Grinder Pro has an impressive range of settings. Select from 60 different consistencies by turning a dial on the side of the machine. The grind setting is shown on the LCD screen, with a marker showing where on the scale from coarse to fine the selection sits. To make life even easier, the scale is also labeled to show the brewing style best suited to the grind. “Plunger” (i.e. French press) coffee is marked at the coarse end of the scale, with espresso at the fine end. 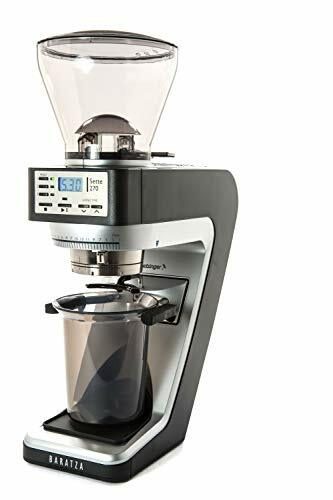 You may also like: 5 Best Jura Coffee Machines Reviews – Which is Right for You? For those for whom even 60 settings aren’t enough, there is an option for even more. Remove the bean hopper and you can reach the burrs. These are held in place by a thin, spring-loaded metal bar. Take it out and you’ll be able to move the burrs closer together or further apart. A gauge inside numbered 1 to 10 will help you judge how much you want to move them. Then replace the metal bar, put the burrs back into the machine, replace the hopper, and you’re ready to go. This ability to fine tune the grind effectively multiplies the settings ten-fold – enough for even the most demanding home barista! With the Smart Grinder Pro, you’ll be able to set both the grind time and the amount of grounds you want. The timer can be adjusted in increments of a fifth of a second. The time is shown on the LCD screen and counts down as soon as grinding starts. Press another button to pause – for example, if you’re grinding for a double basket – then press it again and continue grinding for the remaining time. You can also program the machine to grind as much coffee as you need. It’s possible to select the amount in either cups or shots. 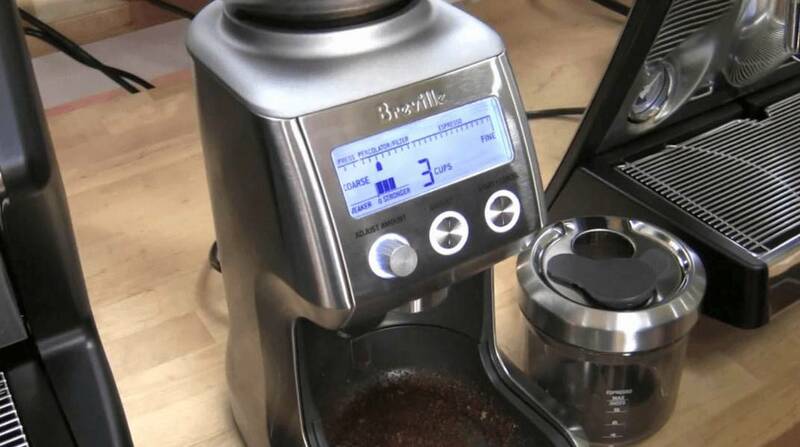 The machine will adjust the grind time automatically, and both time and dose will be displayed on the LCD screen. The Smart Grinder Pro allows you to grind into a range of different containers. If you’re going to be making espresso, you can grind directly into the portafilter. Other options are the air-tight grounds container, gold-tone filter basket or paper filter. The grinder comes with two different portafilter cradles. One will fit portafilters from 50 to 54 inches, as used in most of Breville’s espresso machines. The second will hold the 58-inch portafilter used in Breville’s dual boiler espresso makers. The bean hopper is made of clear plastic, so if you leave beans there for long they’ll be vulnerable to damage from light and heat. This is a grinder that will handle a very broad range of grind consistencies. If you’re a fan of Turkish coffee and fed up of having to ask it to be ground in specialist shops, it’s worth a try. Set the grinder to setting 1 or 2, and if you need to fine tune it adjusts the burrs too. The oils on the surface of dark roasted beans can clog the best grinders over time. The Smart Grinder Pro comes with a brush to clean the burrs, but if further cleaning is needed try rice. Running a cup of uncooked white rice through the grinder will clean out those pesky oils very well. The only downside is that you’ll get rice residue in your next coffee unless you clean that out too. To do that, unplug the machine, take out the bean hopper and hold the machine upside down. Then run it a couple of times with no beans inside. Then use the brush to give it a dust and you’re ready to go. It’s also possible to buy special cleaning tablets for burr grinders. 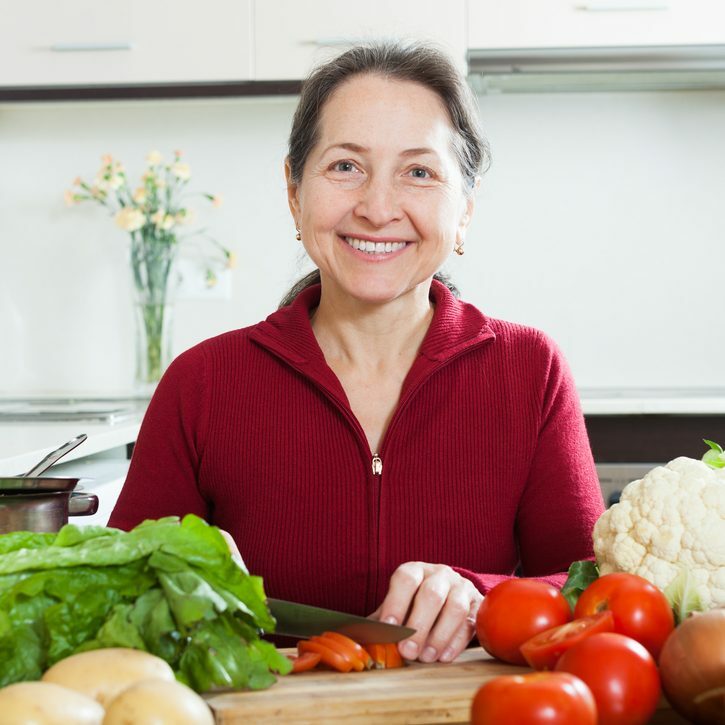 Uncooked rice does the job just as well, however, and there are no chemicals to worry about. So how does the Smart Grinder Pro measure up to other grinders? The Sette is more than twice the price of the Smart Grinder Pro but it may be a wise investment. 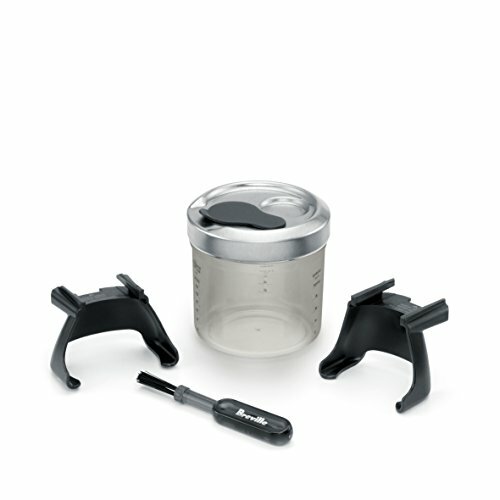 Baratza set great store in the durability of their appliances. They say that with proper care and maintenance this grinder should last for many years. Baratza offers repairs and even rebuilds, so if something does go wrong you shouldn’t have to throw your machine away. It’s a pleasingly environmentally conscious approach. The Sette 270 is slightly shorter and deeper than the Smart Grinder Pro, and it comes in a black and silver finish. It also has a digital screen, though it includes less information that the Smart Grinder Pro. Both machines can grind into either a container or a portafilter. 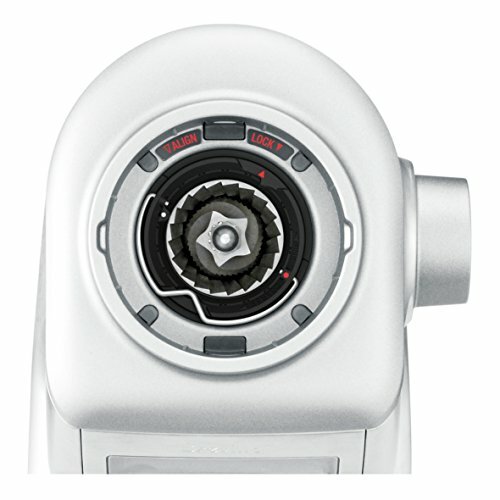 As the name suggests, the Sette offers 270 settings, with 30 macro and 9 micro adjustments. You can program the machine to remember up to three different doses. As with the Smart Grinder Pro, you can set the grind time too. Here the Sette is even more accurate, offering increments of a tenth of a second. 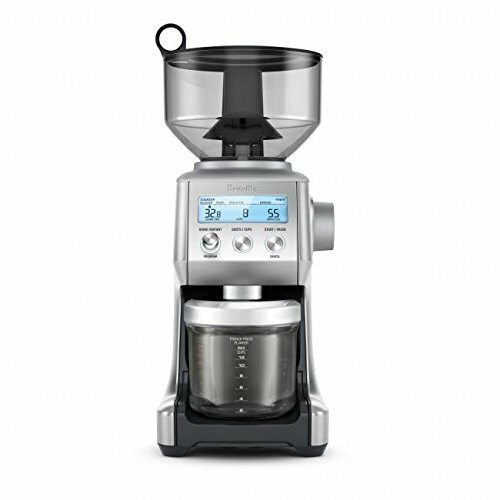 DeLonghi’s Dedica is around the same price as Breville’s Smart Grinder Pro. There are plenty of other similarities too: both can grind into a grounds container or portafilter. Both have an easy to use LCD display. And both use stainless steel conical burrs to do the grinding. The Dedica is a larger machine, almost a foot deep and over 18 inches tall. If you’ve got low clearance between kitchen worktops and wall cupboards, it’s not the best choice. On the other hand, the larger dimensions allow for a generous bean hopper, and a grounds container big enough for 14 cups. It has only 18 grind settings, but it has one feature the Smart Grinder Pro doesn’t: strength selection. Choose between light, normal and strong, depending on your flavor preference. 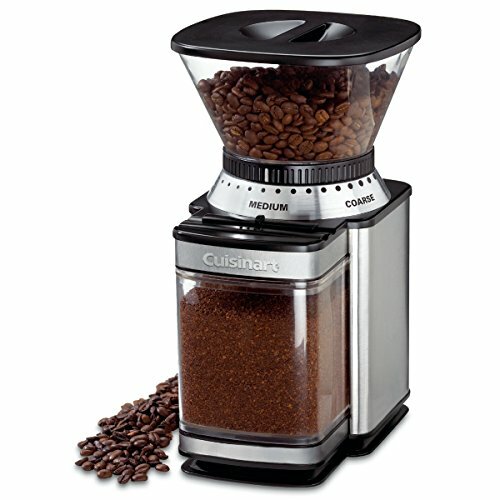 A budget-conscious option, the Cuisinart DBM-8 is around a fifth of the price of the Smart Grinder Pro. It’s less than 11 inches tall and easy to fit in, even where space is at a premium. Unlike other cheaper machines, the DBM-9 uses burrs rather than a blade to grind. It has 18 grind settings, with a dial to select your preference. The burrs here are flat rather than conical, which means it’s less effective for fine grinding for espresso. There’s an automatic stop, and a slide dial to choose how much coffee you want. You can grind enough for between 4 and 18 cups in one go. The grounds container is huge, holding enough coffee for up to 32 cups. If you’re looking for a burr grinder, they come at a range of different price points. With Breville’s Smart Grinder Pro you get good build quality and an impressive range of grind settings. It’s a good-looking machine too. If you’re looking for a less expensive option, consider the Cuisinart DBM-8. It’s a simple machine, and you won’t be able to adjust your grind consistency to such fine margins. But you’ll still get 18 settings, and if you don’t need to grind for espresso it will do just fine.